The story of Jaguar has been told many times, but its history under the auspices of British Leyland deserves further scrutiny. Keith Adams tells this bitter-sweet tale. 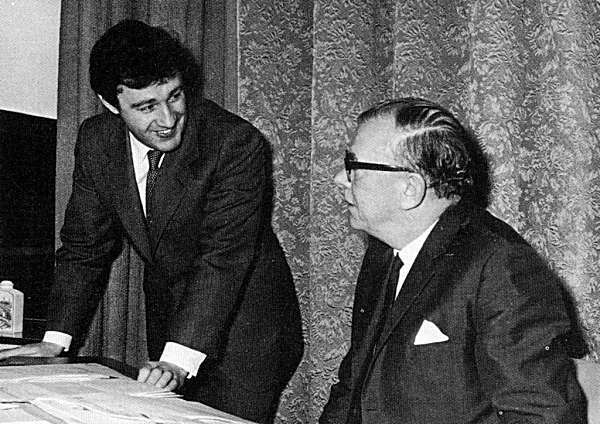 Thanks to the efforts of Sir William Lyons, Bob Knight and John Egan – men who maintained Jaguar’s independence above all else – the company remained a component part of the BL Empire, but one that was on the whole, was less affected by BL’s traumatic fall from grace in the 1970s than the rest of it. Also, unlike many other component companies of BL, Jaguar deservedly has a devoted following amongst enthusiasts, and as a result, has already had dozens of books published detailing every last minutiae of the company. This chapter, therefore, really deals with the company’s life under BL and the battles that Jaguar endured with BL to ensure their independence. In 1966 of course, Jaguar was still an independent company – and one that both Leyland and BMC were in the process pursuing actively, but as explained in ‘The whole story‘, it was BMC that won the day in acquiring Jaguar. Sir William Lyons had played negotiations with George Harriman of BMC in an exceptionally smart way – making it known that Leyland had been in talks with them and making great play of excellence of the forthcoming XJ6 saloon (known internally as ‘Project XJ4’), due for introduction in 1968. Harriman was keen in acquiring Jaguar, and he had no trouble in persuading the BMC board that this was the correct direction for the company to go – this partnership would ensure BMC would have perhaps the World’s finest luxury cars at the pinnacle of their range, something that would distance it from its rivals at Leyland. Lyons, on the other hand conducted the entire merger negotiations in private with Harriman (as he had done previously with Sir William Black and Donald Stokes of Leyland) and the terms of the arrangement were pretty much dictated by himself, with Harriman being a willing partner. As a result of the unprecedented and uninterrupted growth of Jaguar since 1950, Lyons walked away from the BMC/Jaguar merger in an exceptionally strong position; having gained himself a seat on the newly-formed British Motor Holdings board and also ensuring that he would maintain complete autonomy over Jaguar – and while he was there, representing the interests of Jaguar, there would be independence at Browns Lane. Harriman walked away from the deal a happier man, knowing that BMH had in possession, arguably the strongest range of luxury and performance cars available anywhere. The announcement of the formation of BMH was at the Riverside Suite of London’s Grosvenor House Hotel on 11 July 1966 – and it is fair to say that it came as much as a surprise to the world’s press as it did to the public. There was a lack of logic on the part of BMC for forging ahead with this partnership, but at the same time, one can see why George Harriman was so keen on the deal: Jaguar offered BMC for more than, perhaps, BMC offered Jaguar apart from the protection that Sir William Lyons felt the company needed from a hostile predator. The company’s range offered at the time of the 1966 merger was an interesting one, but one that within three years, would be completely revamped – Harriman was privy to these plans because all it could do was strengthen the negotiating hand of Lyons. At the bottom of the range was the confusingly named, Jaguar Mk2, available in 2.4, 3.4 and 3.8-litre versions. Above this was the large Jaguar MkX saloon and then, right at the pinnacle of the range was the E-type sports car – both of which were launched in 1961 at the Geneva motor show. The following year under the wing of BMH was a quiet one – pretty much business as usual in Coventry, where another £1 million post-tax profit was reported, but events for Jaguar would soon take another turn following the announcement of 4th January 1968: Jaguar was now a very small part of the British Leyland Motor Corporation. 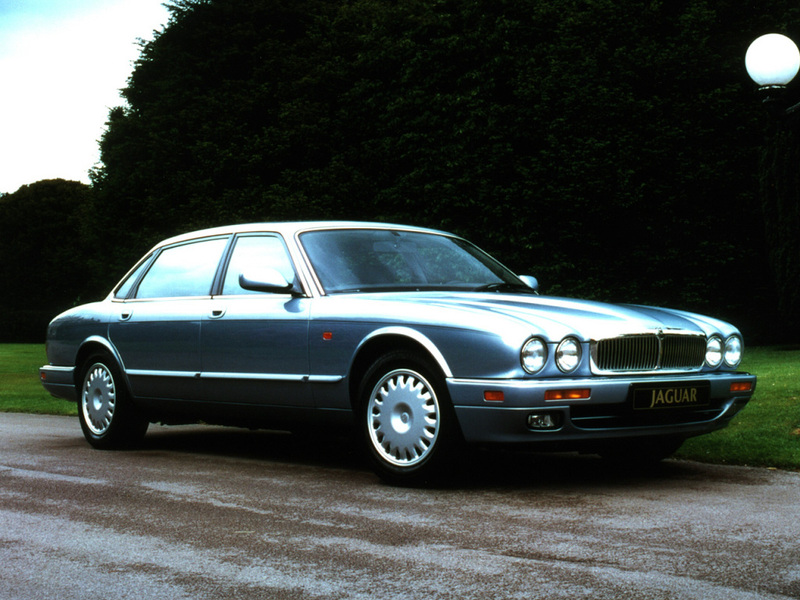 Initially, work would continue as it did, Project XJ4 was nearing completion – the board deciding in March not to refer to the new car by a model name, but as the XJ6 (in deference to its number of cylinders). Work was underway on the new Harry Mundy designed V12 engine and it would logically form the basis of an upcoming XJ12 model in the future. Within the Corporation, Jaguar’s position was extremely strong, with Sir William Lyons maintaining his seat on the (BMH side of the) BL board, fighting his usual stout defence of the company – and the fact that in September of that year, the Jaguar XJ6 model is launched to the unanimous praise of the world’s press helped Lyons’ cause immeasurably. 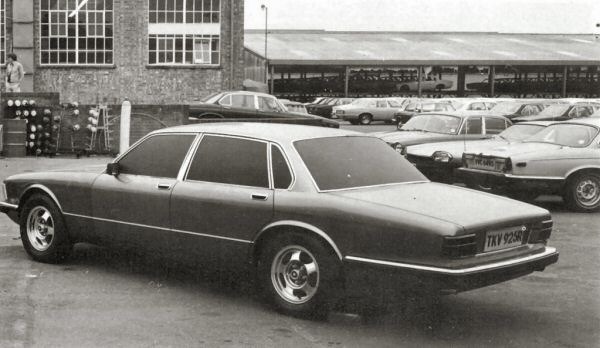 Because the XJ6 was such a quantum leap over its rivals ensured its place at the head of the company’s model range – it would also eventually help BLMC to drop plans to introduce the Rover P8, which was being drawn up at the time in Solihull. The XJ6, as launched in 1968 was such a huge leap in terms of refinement, performance and style over its contemporaries that it took the motoring world by complete surprise – so much so that the Peugeot 504 was awarded the Car of The Year accolade over the far more accomplished Jaguar. Initial gremlins with the 2.8-litre version would take the sheen off the car’s launch, but these would be buried by the time of the launch of the Series II model. 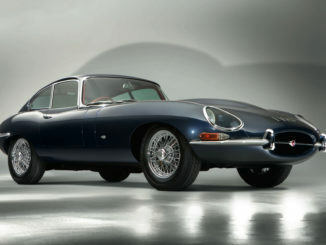 Jaguar was now concentrating on its next car, the planned replacement for the E-type (codenamed the XJ27) – which would head the entire Corporation’s range in the USA. Like the USA-focused Triumph/MG project (see Triumph TR7), the continued fight for passive safety in passenger cars by Ralph Nader, meant that the overriding climate of the time was very much against the convertible in any form. 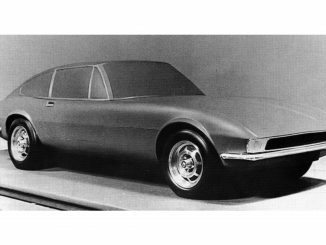 So, the new big Jaguar would be devised as a coupe only. Bob Knight did investigate the possibilities of an open topped version of the car, but because of the fact that the US definitions of a convertible were still very much in flux – and the safety movement were getting all they wished for granted them by the federal government, the logical conclusion was that all open topped cars would be banned by the mid-seventies. The XJ27 was a costly project for the company – especially so, when added to the development costs of the company’s new five-speed gearbox and V12 engine – and so, sadly, the idea was dropped. Delays at Pressed Steel Fisher were also causing concern at Jaguar, because project costs were spiralling. By 1970, the worst situation a subsidiary of BLMC could be in was that of a division producing unexpected costs to the corporation as a whole. The climate in the company as a whole was one of pooled resources and economies of scale – and because Rover were being pushed by John Barber into a market sector that was very close to that where Jaguar resided, a certain amount of defensive posturing would be evident in Coventry during the coming years. Pressure from BL soon started to exert itself; when suffering from teething troubles with the 2.8-Litre XK, mounting overtures from BL to use the Rover V8 engine were staved off by Bob Knight. The only defensive move open to Jaguar was to use this setback as an opportunity. 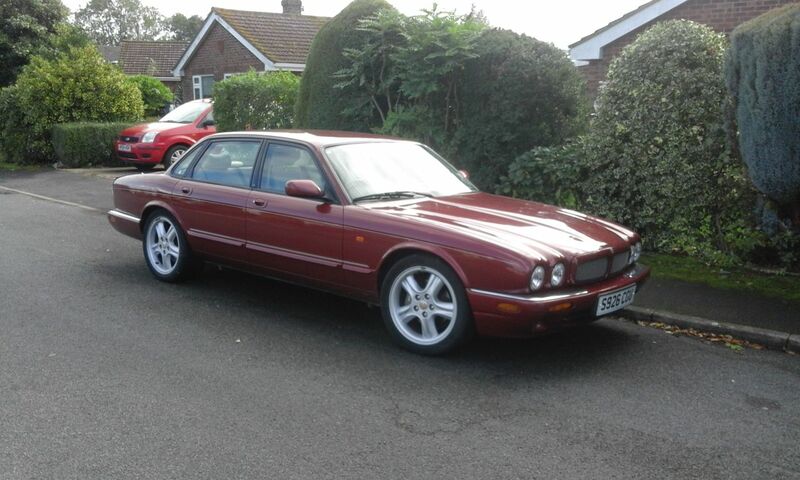 And so it installed the excellent 3.4-Litre XK engine in the entry level XJ6s. 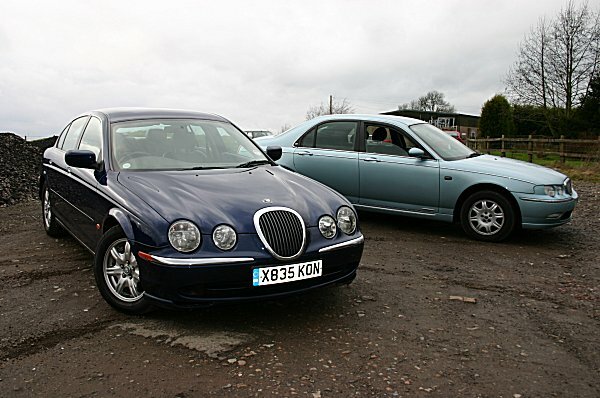 Thereby, it managed to ditch the troublesome 2.8, while avoiding diluting the Jaguar bloodline by installing the Rover lump. More BL pressure was also making itself felt through advances of the Rover P8, which certainly had its champions within BLMC – and one area where the XJ6 was proving weak against the new car was in the area of interior room, especially in the rear. Jaguar soon answered this threat, again by going on the offensive. 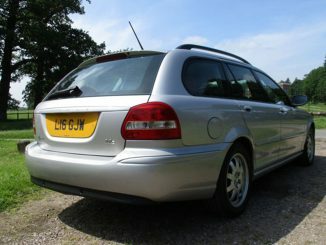 The Browns Lane solution was to make the long wheelbase option the standard choice across the range. 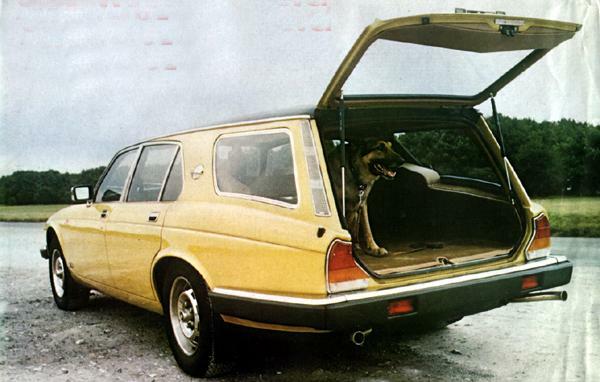 The short wheelbase would make a reappearance in the beautiful XJC and, later, the XJ-S. The hostile situation would worsen for Jaguar, following the announcement on the 8th February 1972 by Sir William Lyons that he would be retiring as the Chairman of Jaguar. It also meant that he would no longer take an active role on the BL Board and this meant that Jaguar’s interests within the corporation rested in the hands of Raymond ‘Lofty’ England and Bob Knight. The beginning of a new era under British Leyland was marked by the retirement of Lyons. The result of all this upheaval was inevitable – England resigned the following January, finding working alongside Robinson unworkable. Geoffrey Robinson, however, would not get the chance to see his plans to grow Jaguar through to fruition, because within months, British Leyland would become bankrupt and the Government would take over the finance and effective running of the company, and although the ongoing XJ40 programme was not stopped or officially put on hold, its impetus was certainly affected in a bad way. How did the Ryder Report affect morale at Browns Lane? Well it is fair to say that when the report was published in April 1975, it was met with ‘Stark dismay’ at Jaguar, who saw that it was now inevitable that the company would become merely a part of the (then still) sprawling car making division headed by Derrick Whittaker. And after the government bail out? With Robinson gone, it was now left to engineering director, Bob Knight to fly the flag for Jaguar, which he would continue to do with great aplomb. One such example of Knight’s keenness to protect Jaguar’s individuality in the increasingly ‘Leyland-ized’ world of 1975 happened when Knight heard that Sir Don Ryder’s Rolls-Royce had expired in a big way in the period that he was deliberating on the Ryder Report. His response to this was to supply Ryder with a pre-production (and hand finished) fuel injected XJ12 5.3 instead of the XJ6 4.2 that he had actually ordered as a replacement for his Rolls-Royce. 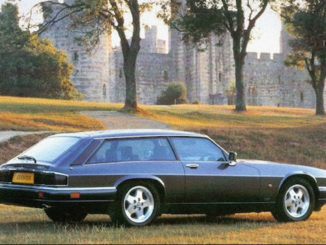 Inevitably, Ryder telephoned Jaguar to tell them that he wanted to cancel his order for the XJ6, so he could keep the XJ12 – a predictable result given the excellence of the larger car. Bob Knight fervently believed that this action was responsible for Jaguar engineering remaining independent and as such, was the only part of the Ryder Report not to be implemented. Bob Knight also needed to address the plummeting morale at Browns Lane and so, in response to a direct appeal to Derrick Whittaker; the Jaguar Operating committee was formed. The rationale behind this group was simply to ensure the smooth running of Jaguar, whilst also maintaining operational efficiency between Jaguar and its Radford engine plant, which now came under another part of British Leyland. Unfortunately, the new Operating Committee is not allowed to function under Leyland Cars. But this does not stop Bob Knight from flying the flag for Jaguar by running the company’s affairs as if it were still independent and refusing to report to anyone, except for Derek Whittaker, himself. The formation of this group certainly helped ease troubled waters, but it did not stop Jaguar being forced to display its wares on the Leyland stand at the British Motor Show in 1975. 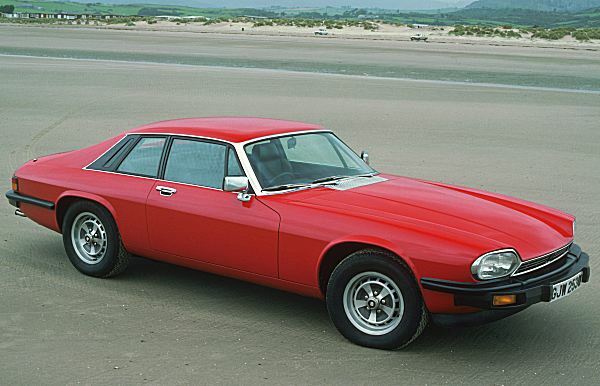 The next big Jaguar event was the launch of the XJ-S in September 1975 – a replacement of the much-loved E-type, that since it had appeared in Series III V12 form in 1972, had started to lose some of that hard-earned enthusiast appeal since it was softened in deference to the wishes of the car’s mainly American clientele. The new car used the same peerless 5343cc V12 engine, as the XJ12 and as a result of Bob Knight’s team’s expertise, the car would possess world-beating levels of handling, ride and NVH (Noise, vibration, harshness) suppression. 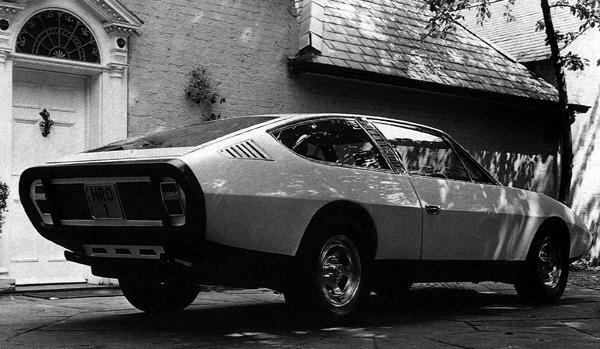 The only clouds on car’s horizons were its prodigious thirst (hardly good in these post fuel crisis times) and its rather heavy handed styling courtesy of Malcolm Sayer, which lacked the beauty of previous Lyons-created cars, especially its predecessor. Still, during these years, the staple product of Jaguar remained the XJ6 and in true British Leyland tradition, the quality control of the cars produced at Browns Lane, suffered from variable build quality. Reputations are hard won and easily lost and it is fair to say that Jaguar’s reputation of producing world beating cars was being seriously threatened at the hands of a de-motivated work force. Bob Knight was clear where he felt the blame lay: not so much in the quality of the product, but from a ‘lack of concern’ from outside suppliers supplying Jaguar with sub-standard componentry. The effect was a result of this loss of confidence in the company’s products from the customers was an inevitable drop in sales: in 1977, Jaguar produced some 23,688 cars – a poor performance when compared with the company’s best (to that point) figure of 32,589 in 1971. 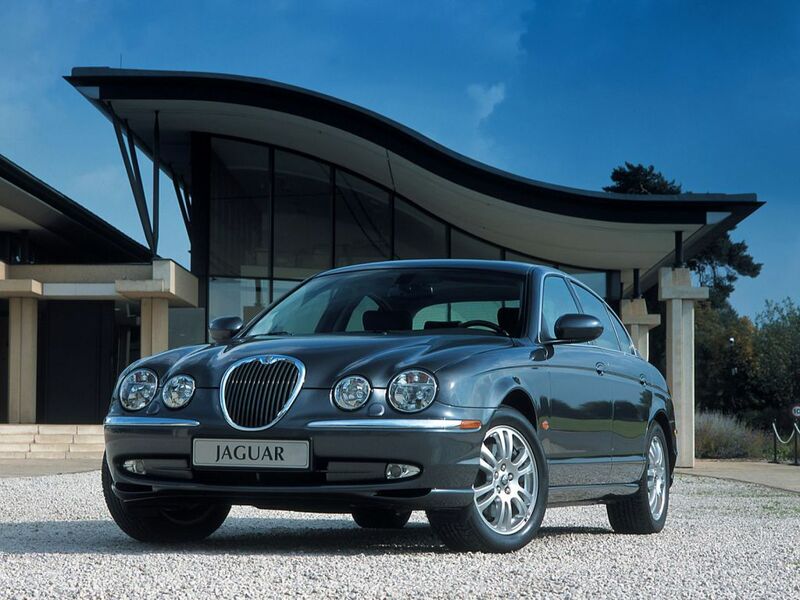 Jaguar’s miraculous recovery from the doldrums of the mid-1970s can be attributed to several factors. Management changes instigated by Michael Edwardes began the process of giving Jaguar autonomy within BL. There was a product recovery, too. The Series III Jaguar XJ6, launched in the spring of 1979 allowed Jaguar to turn the corner. Seemingly not a major advance over the Series II model, but the new car with its Pininfarina modified roofline and gothic rear lamp clusters certainly presented itself as a re-invigourated car. It was one that the customers – particularly in the USA – wanted in large numbers. 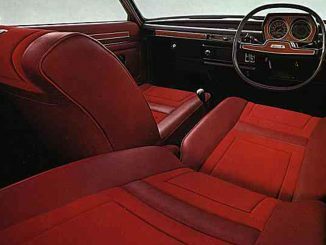 The Series III also marked the welcome (and long-awaited) arrival of a five-speed manual option on the Six-Cylinder models; another use for the 77mm gearbox, so far only used in the Rover SD1 and Triumph TR7-V8 rally car. Bob Knight played a vital part in the renewed enthusiasm of the dealers because he instigated a programme of dealer presentations at the Browns Lane factory – and his enthusiasm for the product will surely have rubbed off on the principles. Jaguar now appeared to have a future – something would have been said with less certainty in the ‘dark’ years. The reliability of the product was still in question and the XJ-S was selling only in dribs and drabs, but these maladies would be cleared given time. In July 1980, Bob Knight retired from his role as Jaguar’s self-appointed guardian. 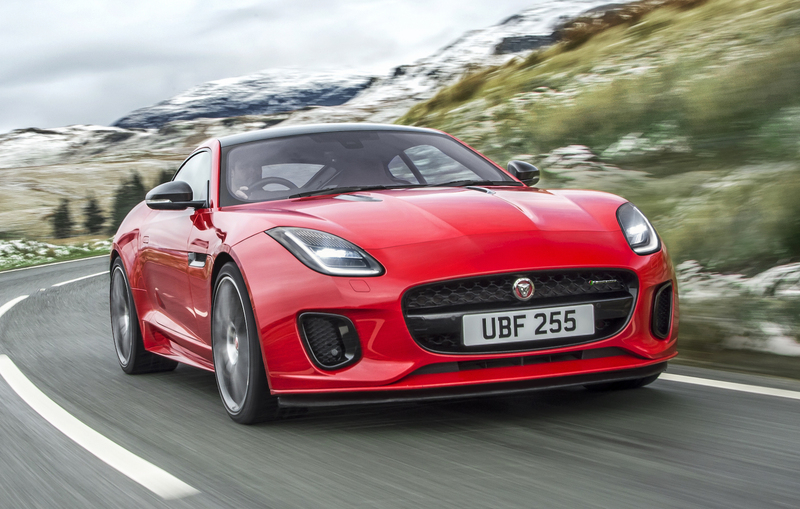 Unlike in the past where it seemed that it was a ‘Jaguar versus the rest’ situation, there was now a real understanding at the top of BL that Jaguar needed its independence in order to flourish. Michael Edwardes knew that Jaguar needed a strong man to carry out the recovery plan that needed to be put in place for Jaguar. In the meantime, a temporary Chairman was put in place at the top of Jaguar: BL executive, Percy Plant. When Egan was finally persuaded to join Jaguar shortly before Knight’s retirement, he stated his aim was to return the company to profitability and that he had great faith in Jaguar. In fact, Egan had arrived at an inauspicious moment, because on the day he reported for duty at Browns Lane, the work force was out on strike because of a dispute over industrial grading. It seemed like the worst possible moment for him to join the company, and after the Government had just committed a £32 million investment to fund the development of the AJ6 engine, the powers-that-be regarded the situation with little humour. It was not a promising start and all Egan could do was sit down in front of the striking workers and offer himself. And that is exactly what he did: he could not offer the work force an instant fix, but what he could do was review the situation with a fresh pair of eyes and try to get the warring parties to agree to a compromise. These delicate talks lasted the entirety of Egan’s first weekend, but a compromise was reached and cars started rolling off the production lines soon after. Egan soon won the workforce round – and one of the first jobs he did as the new Chairman and Managing Director (the MD job was his once Bob Knight parted) was to get the Jaguar Flags flying at the factory gates. The Leaping Cat statues that had been removed during the Leyland Years, were returned to their original, prominent position. When the statues were re-erected, it proved an emotional moment for the workforce, who felt that after years of being buried in a large and badly managed corporation, Jaguar was finally regaining its identity. John Egan pictured alongside an image of an American-spec XJS-HE: Egan achieved huge amounts in his efforts to change the image of Jaguar picked up during the ‘BL years’. In four short years, he almost single-handedly transformed the company from a lame duck to the magnificent swan that it was during the early years of the company. The only tragedy is that the rewards of this labour did not benefit the British motor industry, but the Ford motor company, who picked up the company in the Autumn of 1989, having paid £1.6 billion for it. 1981 probably represented the absolute depths of Jaguar’s fortunes because production hit an all time low of 13,360 cars for the entire year. It also marked the start of the future: John Egan was in place, the XJ40 was now certain for production – and the US market showed real signs of renewed interests in the marque. Egan knew, however, that the path to continued success in the USA lay in a higher quality, more dependable, product than they were currently offering and instigated a far-reaching quality drive that would prove to be the final piece in the puzzle needed in the Jaguar recovery plan: Egan instituted a market research programme that questioned not only Jaguar customers – and those that would potentially buy their products, but also BMW and Mercedes-Benz owners and what it was about their cars that made them that engendered such marque loyalty in their customers. This research identified 150 key problems and as a result, Egan immediately set-up a taskforce to systematically eliminate each one of these in turn. Not was there just a taskforce set-up, though – the 12 most serious of these faults were to receive attention from the Jaguar board itself, such was Egan’s determination to put right the company’s ills. 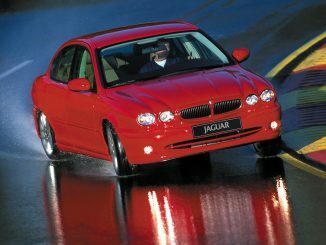 One pattern that emerged from this trouble-shooting was that 60% of all the problems encountered in Jaguars were as a result of the failure in bought-in components and something that Egan (coming from Unipart) had a deep knowledge of. 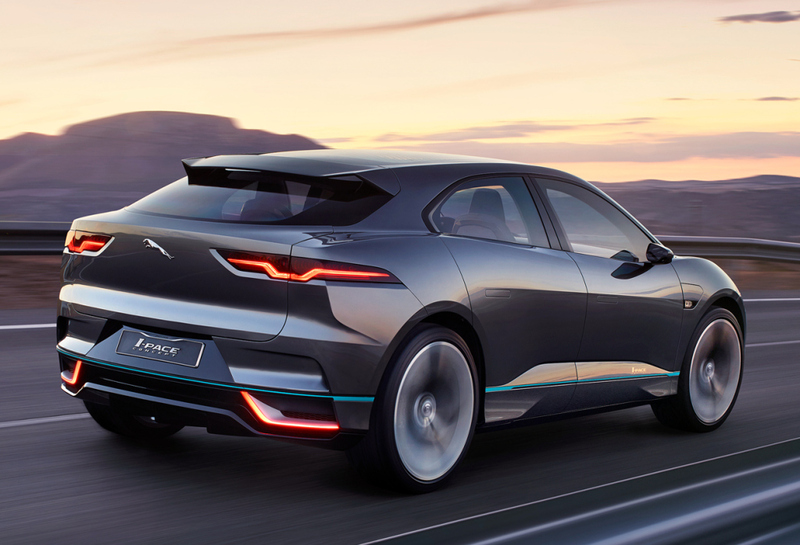 Egan immediately took a firm line with the component suppliers, stating flatly that if they did not sharpen up their act quickly, they would be responsible for Jaguar going out of business. 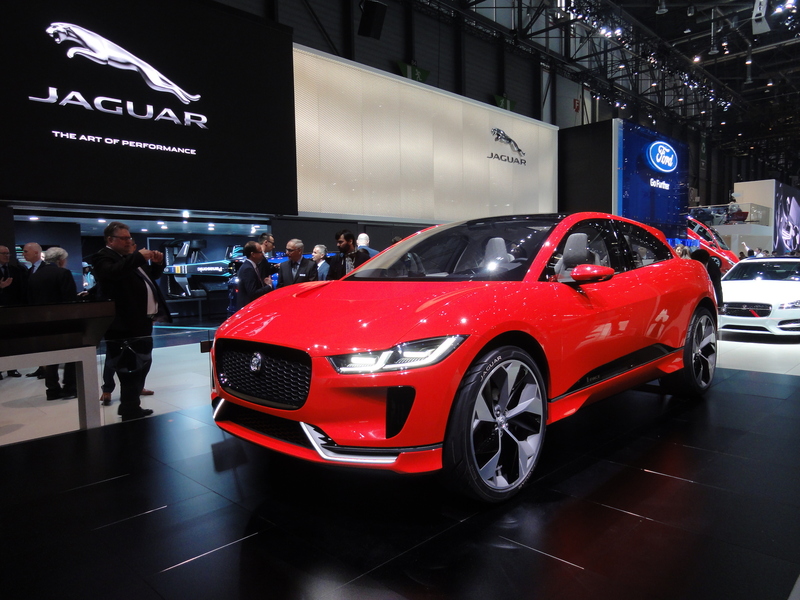 As a result, Egan ensured that part of the terms and conditions of supplying parts to Jaguar was that any warranty costs incurred as the result of the failure of third-party componentry would be paid in full by the suppliers. 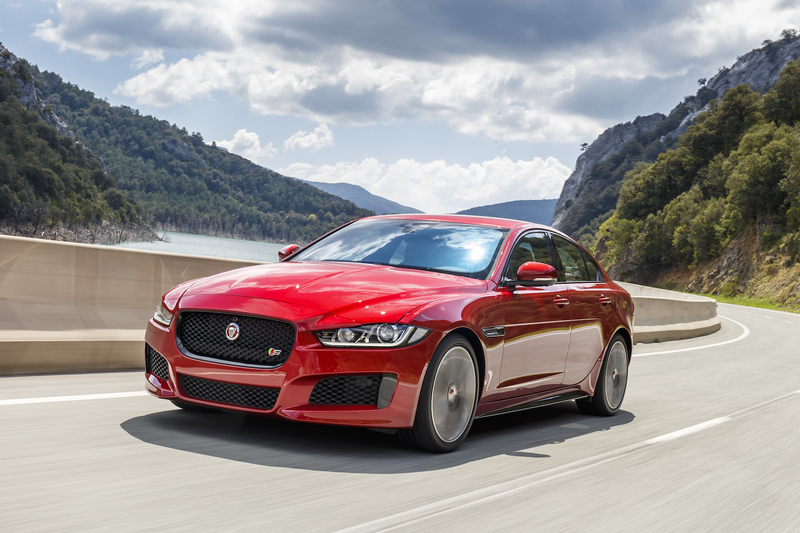 Needless to say, the suppliers soon acceded to Egan’s wishes and tightened up their own act in order to make supplying Jaguar a less costly and more satisfying experience. 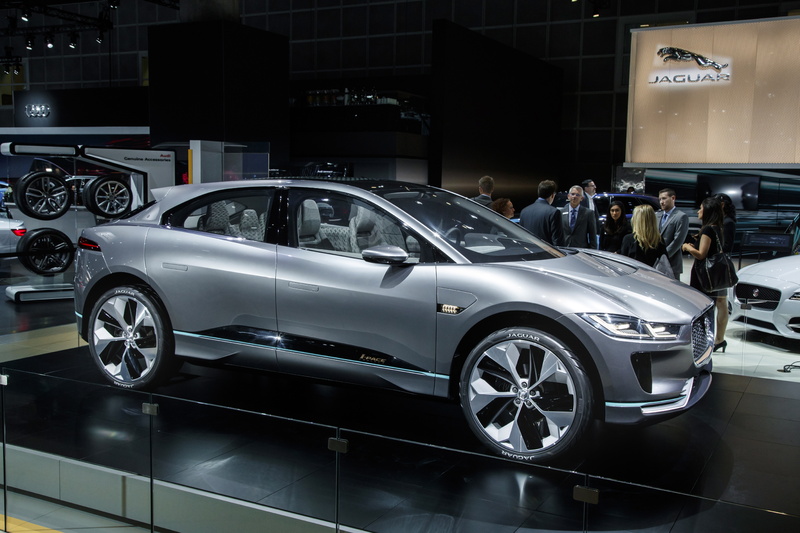 Within a year, Egan would say, Jaguar would be supplying saleable products to the public again. He had, indeed, performed a miracle. This support from the Chairman would ultimately prove to be a useful insurance against failure – but in reality, there was never any doubt hanging over the future of Jaguar because John Egan, his boss Ray Horrocks and his boss, Michael Edwardes all knew that the health of Jaguar was paramount to the future success of the company’s exports now that the sports cars were all eliminated from the company’s line-up. 1984 Model year XJ6 model shows that in Series III form, the car was still a highly desirable shape. Very unusually for a design modified by a third party, the Pininfarina styled roofline blended beautifully with the basic shape – and if anything, this late version of the XJ6 was the most handsome of all – it certainly sold more copies than any other version of the XJ6. Thanks to this ruthless programme of quality management – and the continued excellence of the product, exports to the USA soon picked-up in the most remarkable way. 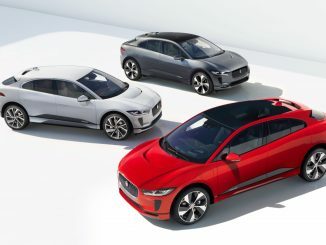 The turnaround over there began with the launch of the 1982 models – Egan estimated that the company would shift 6000 cars during 1982, as opposed to the more pessimistic figure of 3000 the BL Board proposed to Jaguar. What actually happened was quite remarkable, because a total of 10,500 Jaguars were actually sold. From that point in time, to the Privatisation in 1984, the company would continue to turn profits, as opposed to the losses that had been returned almost every year since the formation of British Leyland in 1968. Significantly, in October 1982, the formerly anonymous division was renamed Jaguar Cars Limited. These were good times for the company, and it did not take a genius to work out that the company was rapidly heading towards separation from BL. 1983 saw the introduction of the new AJ6 engine, which would eventually replace the long serving XK engine, in the Jaguar XJ-S. Along with the new engine, a cabriolet version of the car was also announced, widening the car’s appeal immeasurably. 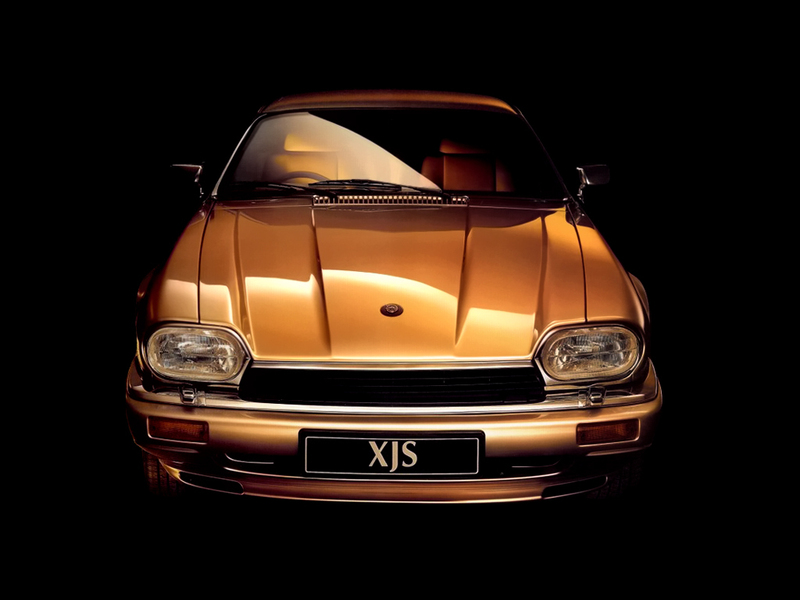 In fact, the XJ-S was staging a remarkable comeback, its sales increasing hugely in the short period between 1980 (when production actually stopped and there was some serious soul searching within the company as to whether it should be restarted) and the intorduction of the six-cylinder option. Privatisation finally came in 1984 – and when it did, it proved a blessed relief for the government, which at the time must have been having doubts about the whole of BL. 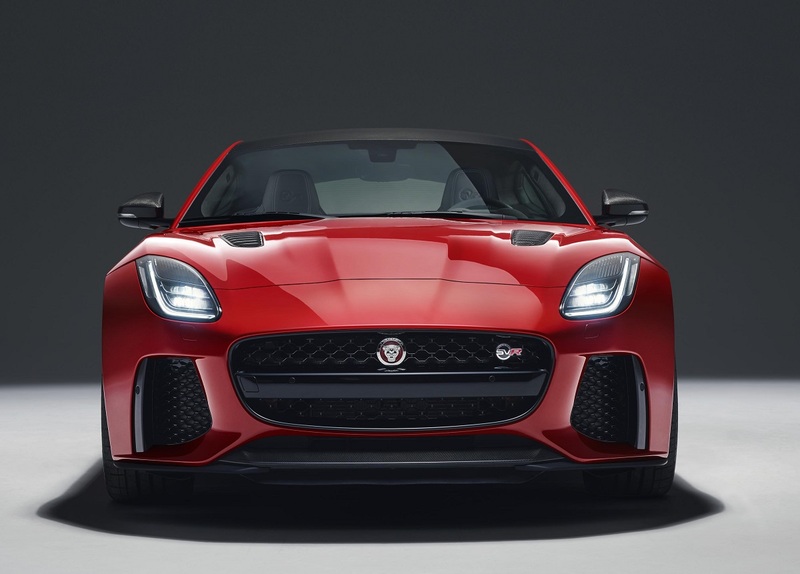 Discussions at BL centred on how the sale would be administered and also, just how much of Jaguar would stay in its hands – Ray Horrocks pushed hard to maintain a twenty per cent holding in Jaguar. However, he lost that argument when the Government maintained that Jaguar would be a more attractive proposition in the City if it were unencumbered by any remaining attachments with BL. And so it was. 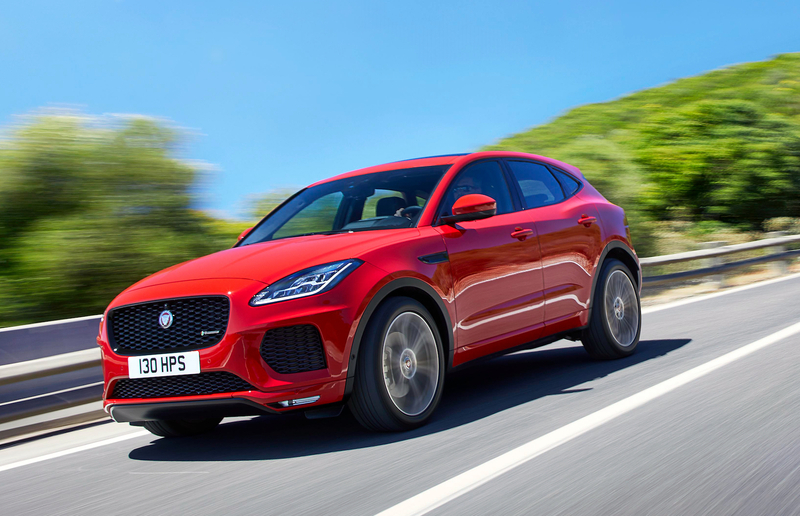 In early August, Jaguar PLC is formed and Hill Samuel offered 177,880,000 ordinary shares in Jaguar rated at 25p each for the price of 165p per share. The sale on the London Stock Exchange was a resounding success – and although the XJ40 was almost certainly on course for its late-1986 launch date, the details of its launch were not used in the Sale of Jaguar as a carrot to encourage share take-up. 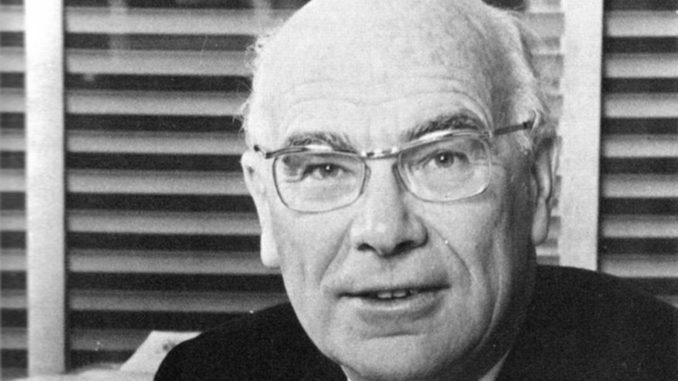 John Egan remained the Chief Executive of the company throughout and after the privatisation and as a result of his hard work in turning round the company, was knighted. Interestingly, Ray Horrocks would remain on the Jaguar Board as a non-executive Chairman, but stepped down early in 1985. Jaguar was without doubt a shining light within BL and lived to survive the traumatic Seventies to become a symbol of what can happen at the national car company, given enlightened leadership, determination and a desirable product. Jaguar would remain in public hands until 1989, when Ford would buy them for the eye-watering cost of £1.6 billion.